Okay, right up front you should know my now that if there was going to be a Thanksgiving Dinner in my house it’s going to involve beer and not just any beer but course selected special pairings. 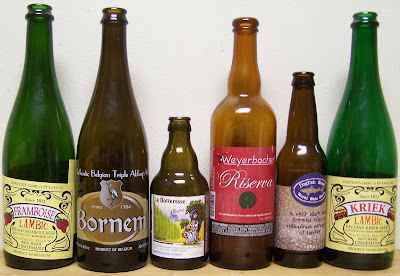 The following is the 2009 Thanksgiving Bier Menu. Below that I’ll have some comments about each of the brews and how the pairing went. I know, before we even start you are saying to yourself on of two things; this is a neat idea or I can’t believe Kathy puts up with him. Well, maybe you’re saying both, I did. As Robert Murray at State Line Liquors said as I was leaving on Wednesday night with two large boxes full of beer, “She’s got to love you”. One more thing before we get started. There was also a punch bowl of Eggnog. Not your store bought eggnog. This was made from scratch real eggnog that Pop Pop would be proud off. Oh yeah, this eggnog has more brandy and rum than eggs and cream and I served it with fresh ground nutmeg. Before I talk about the other beers I did have a couple of selections for the ladies. In this case the Lindemans Framboise (Raspberry) to start of the evening and the Kriek (Black Cherry) for dessert. OK now to the real stuff. This was a last minute substitute due to availability but it turned out to be a nice selection. I haven’t had this tripel in two years or more so it was a very pleasant reunion. It’s an excellent tripel with a little more bite to it. It’s not hoppy at all but there is a nice spicy bite and at 9% ABV it started off the evening on the right foot. This American Wild Ale was the wild card for dessert. Again, a brew I only had tasted once before at a tasting. I enjoyed it but it was a little too much for most of the guest. This beer was very tart and sour. It is a wild yeast ale with raspberry puree added and aged in oak barrels. It’s a very unique brew from Weyerbacher but it turned out to be a little too unique for most. I enjoyed the wild funkiness of the brew. I thought it went well with the dessert pies and I also liked the 11.4% ABV kick that it had. Yes, we did have a full meal to go with the beer selections. Kathy bought a fresh turkey from the farmers market (AKA the Sale). It was a large 27lb bird. She really outdid herself. The turkey was cooked to perfection (about 7 hours) and of course we had all the other fixings to go with it as well. It was a wonderful Thanksgiving! Well, that was Thanksgiving at the Remaley household. I do have a few of the beers left over so I will most likely do a full review of the Brune, Riserva and the World Wide Stout. I hope you all had a Very Happy and Blessed Thanksgiving. 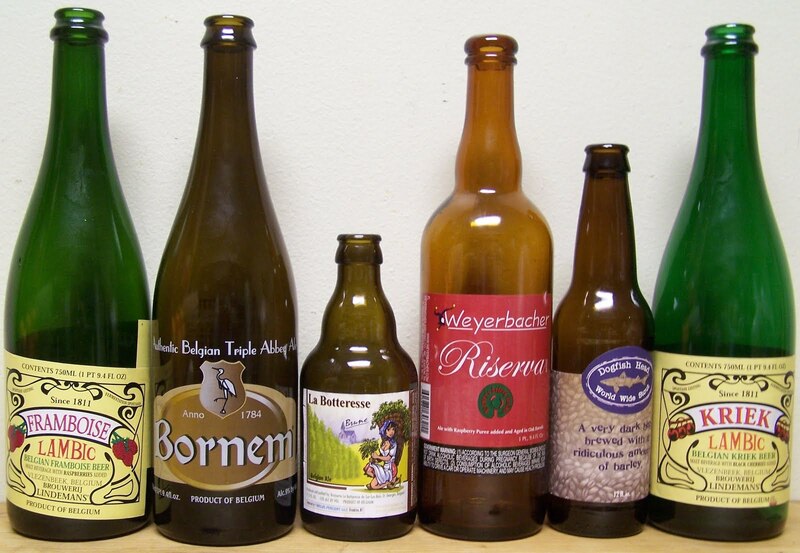 I can't wait to try some of these beers. It's funny I was just telling the kids on our thanksgiving about pop pops eggnog.